With great and real pleasure we introduce today interview dedicated once again to the poetry of World War One. This time we tried to enlarge our view, to other literatures and to novelists as well. This was possible thanks to the kindness and competence of Tim Kendall, poet, editor and professor at University of Exeter. Among his publications, we would like to remind Poetry of the First World War: An Anthology (Oxford, 2013), The Oxford Handbook of British and Irish War Poetry (Oxford University Press, 2007), Modern English War Poetry (Oxford University Press, 2006). The so called "war poetry" is probably the biggest part of his researches, but it's opportune to recall also his studies on Paul Muldoon (Paul Muldoon, Liverpool University Press, 2004 and Paul Muldoon, Seren Books/Poetry Wales Pr Ltd, 1996) and Sylvia Plath (Sylvia Plath: A Critical Study, Faber and Faber, 2001). Q: Let's start with the definition of "War poetry". As far as I know the English literature is only literature that "isolated" and grouped some texts under a similar strong "label", even if all countries developed their own war literature and poetry. Do you have a similar opinion and, if so, why do you think this happened? Was there at that time a kind of awareness of being a "war poet"? A: The term ‘war poetry’ is an oxymoron: destruction and creation, ugliness and beauty. But, of course, war has been the subject of poetry as far back as we can trace. What made England different, in 1914, was the sense that poetry spoke urgently to our national identity. We were the nation of Shakespeare, of Henry V at Agincourt, and our civilisation was bound up with our literature: the greater the literature, the greater the civilisation. After all, we weren’t going to beat the Germans at music or fine art. So, to write a poem was, in some small way, to assert the very values which were under attack. 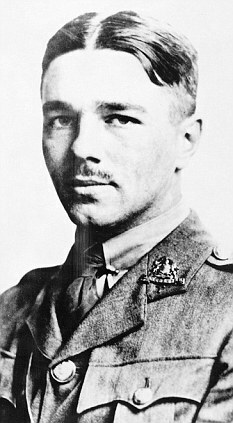 Wilfred Owen told his mother that the only thing which would hold him together on a battlefield was the thought that he was defending the language in which Keats wrote. Q: A conspicuous part of your studies and research is dedicated to First World World poetry. What brought you to these researches and could you illustrate your last book on this theme? A: I was tutored by Jon Stallworthy at university. Jon was an immensely generous as well as a brilliant man, and he taught me to love war poetry. 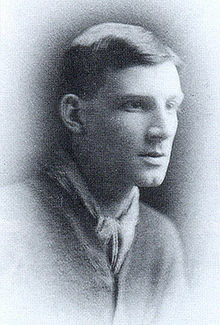 My latest book, Poetry of the First World War, is dedicated to Jon, who was the inspiration for so much of my work. Q: Is there a particular initiative about war poetry (book, conference, event, other) that you want to point out in this "centenary mood"? A: A great deal of energy was expended in the run-up to the centenary, to ensure that the familiar myths of the war’s futility, of lions led by donkeys, etc., were challenged. But the national curriculum is a rough beast to resist, and Blackadder and Oh! What a Lovely War et al. have ensured that the simple narratives are firmly entrenched. What I’ve most appreciated about the recent treatment of war poetry is an acceptance and appreciation of poets who speak truths to this new kind of power: sometimes, they dare to say, war is enjoyable, enriching, exuberant, as well as dreadful, wasteful, unimaginably brutal. More than that, most of the British poets of 1914-18 believed that the War was necessary. This can come as a surprise to those readers who only knew Owen and Sassoon. Q: Let's now move to First World World English novelists for a moment. Which are still today the most popular novels and which are the novels that according to your standpoint would deserve a deeper attention (or perhaps a rediscovery)? A: I’m a Kipling obsessive, and I think that his stories in Debits and Credits and elsewhere stand above any other war fiction that I’ve read. But they’re not novels. Jacob’s Room is the book by Virginia Woolf to which I return. I’m not sure, though, that Kipling or Woolf qualifies as a neglected genius. 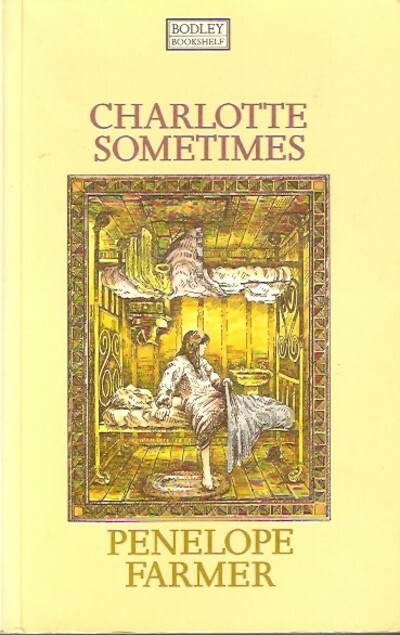 I would make a special mention of Penelope Farmer’s Charlotte Sometimes, published half a century after the Armistice. That does get overlooked, for no better reason than that it’s commonly classed as a children’s novel. Let me also say that some of the finest prose about the War came from the novelist Mary Borden, who served as a nurse at the Front. The Forbidden Zone is a hybrid masterpiece: memoir, prose poetry, a collection of fragments. 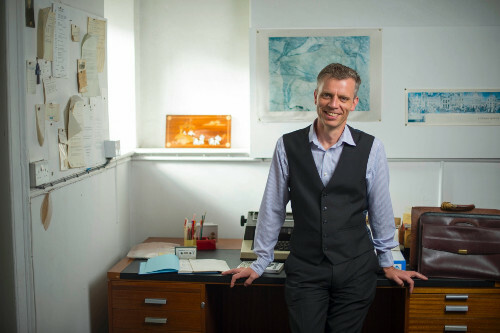 Q:The First World War was paradoxically the last war with a large number of poets, then something has changed in the relation between war and poetry. Do you agree with such statement or do you think it is only an exaggeration? A: War breeds poets. Every recent conflict provides a cue for the poetasters to wring their hands and indulge their sensitivities. They always want to tell us what we already know --- that war is bad --- but also that they feel this particular truth more acutely than the rest of us. I think of Anthony Hecht’s ‘fierce Strephon’, whose poetry denouncing the Vietnam War brought not only fame but considerable profit: ‘a fate he shared---it bears much thinking on--- / with certain persons at the Pentagon’. Q: Generally speaking and according to your experiences, what do English students know and study about Italian, French, German, American (etc.) war poets? A: Generally speaking, absolutely nothing. My own small attempt to improve the situation is to promote the work of the entirely unknown American poet John Allan Wyeth, whose sonnet sequence This Man’s Army is the great forgotten book of the War. Q: I would love to end this interview with your personal choice, namely a poem you would like to suggest to our readers. What do you propose us? And why? Thank you.